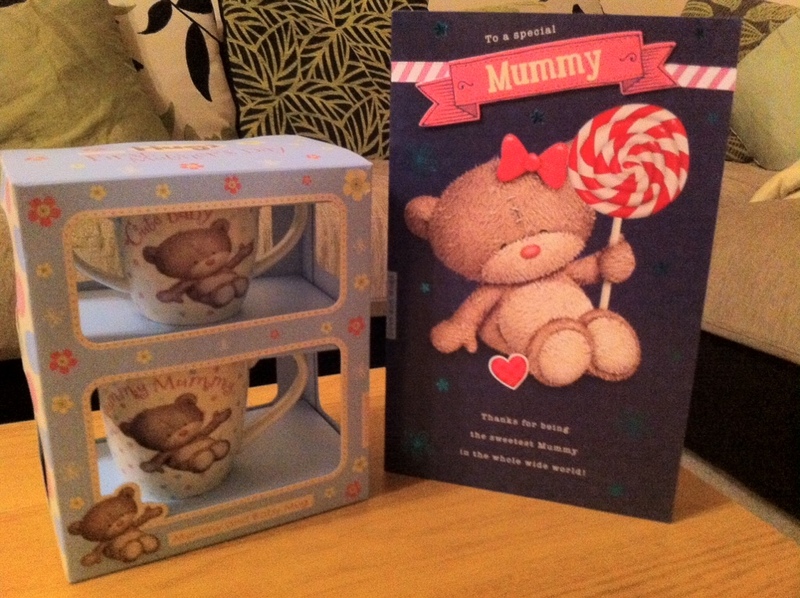 It’s Mother’s Day in the UK today and of course it’s my first Mother’s Day as a Mami! Hubby had bought me a card and prezzie from Little Miss and had traced around her hand inside the card because obviously she couldn’t sign it herself (she’s not that clever!). We went out with hubby’s parents for a carvery lunch and it was lovely! I always enjoy going there. After food hubby was going to visit his grandma with Little Miss. I didn’t go because I wanted to go help my mam at the house. By the time I arrived it was almost 3pm and because she’d been there since 9am she was knackered! She left me to go home for a bath so I stayed there and took down some old wallpaper. I had three black bin bags of wallpaper leaving the place. It’s already brightening up by doing that. Trouble is that behind the wallpaper the walls are a bit damaged so we may need to put new plaster boards up! Oh and before we do that we’ll have to replace the electrics throughout! If this hadn’t been Taid’s house and my home then I would never have bought it! 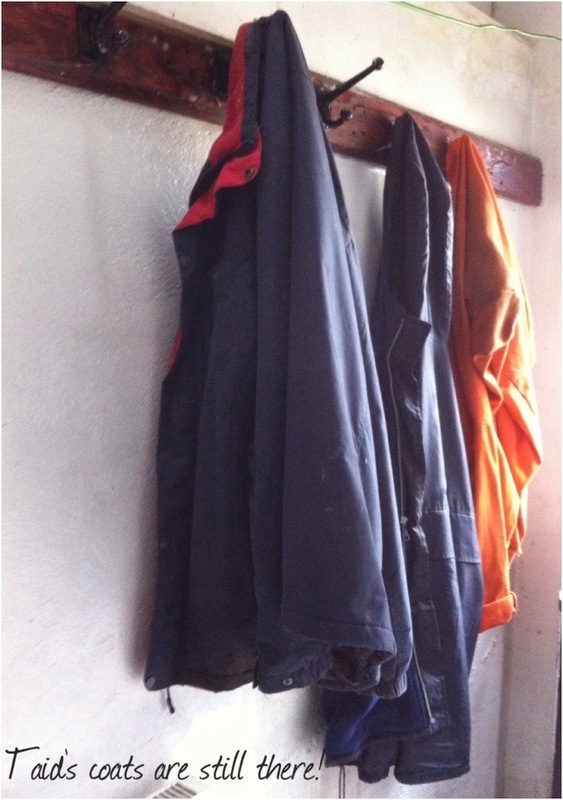 Mam had taken a lot of rubbish to the tip but Taid’s coats are still hanging behind the door – so sad! I went up to Nain’s after finishing at the house and gave her some flowers for Mothers Day because I knew it’d cheer her up. Then I came home, had a bath and cuddles with Little Miss who had been such a good little girl for Dadi! 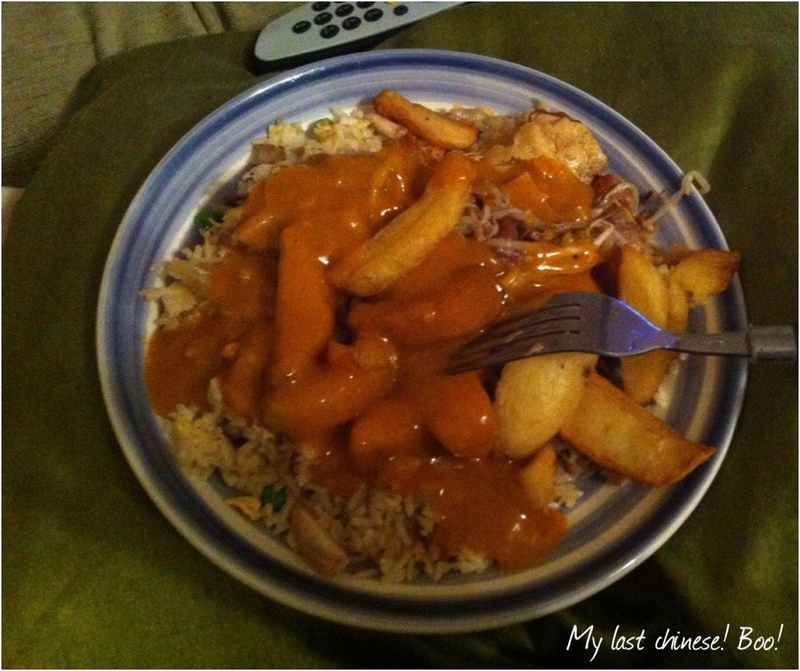 Oh and because “The Diet” officially starts tomorrow we had our last Chinese takeaway! How was your weekend? Did you do anything special for Mothers Day? Hamilton won the F1… my sister will be pleased. I’m please that it’s not Vettel winning everything! F1 just isn’t the same without Mark Webber! I can’t get behind anyone this year! I’m trying to support Ricciardo but it’s a struggle! I’m a few days late, but HAPPY MOTHER’S DAY! I can only imagine how special your first Mother’s Day was with Little Miss 🙂 It’s so sweet that your hubby got a present from her (especially tracing her hand!). 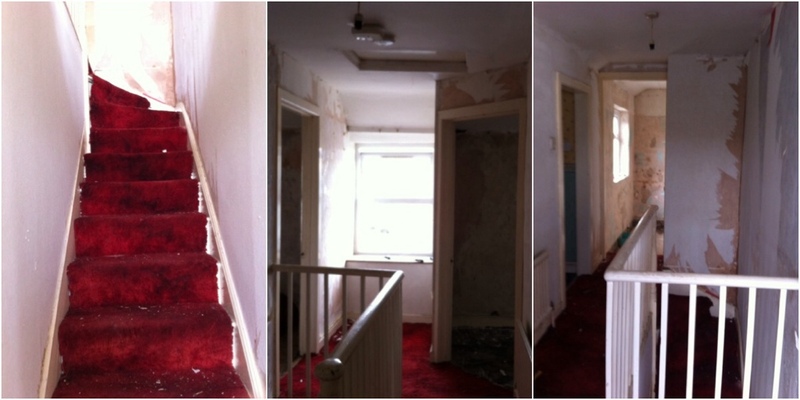 Taking down wallpaper is a nightmare! I hate the gluey stuff left behind that takes forever to remove. What a sad, yet sweet, moment when you found Taid’s coats still hung up. Maybe you could leave them there, or a special place in the house to honor and remember him? That would be a nice and personal touch! Thank you! It was a weird day because she spent more time with her Dadi! And I didn’t get a photo of me and her but there’s a photo of her and Dadi! Never mind! It was sad to see his coat still there. I doubt whether Mam will want to keep them there! But she didn’t throw them out which was nice. I’ll leave them there for now until we decide what to do with them. Ok officially my diet hasn’t really started since I demolished a cake today – hey I’m not going to waste food I already have! But I will join you on the bandwagon!